Noted for his Revolutionary War heroism and short stature, Alfred Moore was the last North Carolinian to serve on the U.S. Supreme Court. Image courtesy of the Oyez Project, Northwestern University School of Law, Chicago, IL. This map depicts the battlefield where Alfred Moore and other revolutionaries fought Scottish Highlanders in what is now known as the Battle of Moore's Creek Bridge. Image courtesy of the North Carolina Office of Archives and History, Raleigh, NC. Alfred Moore was the second, and to date the last, North Carolinian to serve on the U.S. Supreme Court. One of the state’s outstanding attorneys and a leading Federalist in North Carolina, he was appointed in fall 1799 to succeed Justice James Iredell after Iredell’s death. Born in Brunswick County, North Carolina on May 21, 1755, to one of the most respected families in the colony, Moore probably numbered among his ancestors or collateral kin, Roger Moore, a leader of the Irish Rebellion of 1641, and James Moore, governor of South Carolina in 1700 and 1719-21. Alfred’s father, Maurice Moore, was one of the three colonial judges of North Carolina and the author of a famous essay denouncing the Stamp Act. The essay vigorously attacked the concept of “virtual representation” of the colonies in the British Parliament, the asserted basis for Parliament’s power to tax American colonies. Following the death of his mother and his father’s remarriage, a nine-year-old Moore was sent to Boston for a formal education. When he returned to North Carolina several years later, he studied law under his father and was admitted to the bar in April 1775. On September 1, 1775, Moore became a captain in the First North Carolina Continental Regiment, which his uncle, James Moore, commanded. He saw combat against the Scottish Highlanders in the Battle of Moore’s Creek Bridge and later against the British in the defense of Charleston, South Carolina. During the war, Moore lost his brother Maurice in a skirmish at Brunswick, North Carolina, and according to legend, both his father and uncle died of disease on January 15, 1777. These deaths left Moore the owner of his family’s considerable holdings, and on March 8, 1777, he resigned his commission in the regular army to care for the family plantation. He continued some military activity, however, as a colonel in the militia. When British troops entered his community in early 1781, North Carolina militiamen, under Moore’s command, defended their homes and inflicted extensive damage among the British ranks and supply lines. In retaliation, British troops plundered Moore’s plantation and seized his livestock and slaves. Moore spurned an offer for amnesty and restoration of his property, if he would return to the plantation and forego further military activity. Though after the war Moore found his plantation in disarray and his personal fortune considerably diminished, he rapidly rebounded and improved his financial circumstances. In 1782, as a state senator from Brunswick County, Moore commenced a lengthy tenure in public service. After the resignation of James Iredell as the state’s attorney general later that year, the General Assembly turned to Moore as a replacement. He served there with distinction for the next eight years. 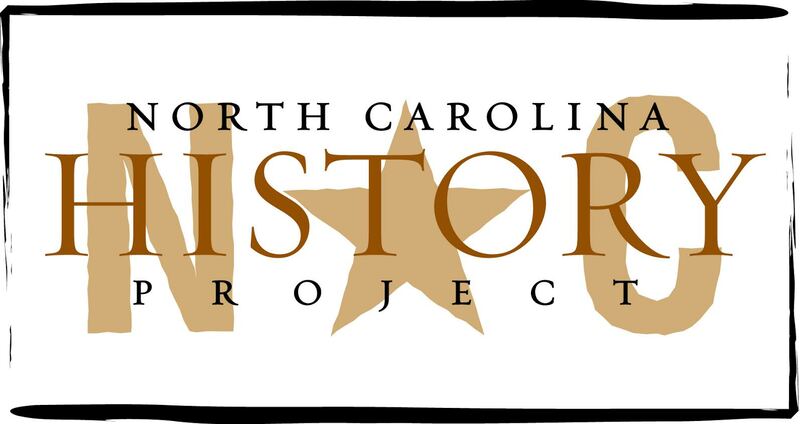 Large numbers of North Carolinians had been Tories during the Revolution, and post-independence legislative assemblies considered the punishment of significant political dissent important to the internal security of the new state. Much of Moore’s work as attorney general thus involved the prosecution of “disloyalty” offenses. Moore was realistic about the prospect of jury nullification in these largely political prosecutions; he accordingly often pursued lesser charges and by doing so acquired a higher conviction rate than Iredell’s. The 1790 General Assembly created the office of solicitor general with the same power and allowances as the attorney general. Moore considered the new office an infringement upon his, and he resigned in January 1791. His absence from public service was short-lived, however, for in 1792 he was elected to represent Brunswick County in the North Carolina House of Commons. In the same year the North Carolina Senate nominated Moore for the U.S. Senate, but he withdrew his name, perhaps perceiving a conflict of interest because of his membership in the body that would elect the senators. In 1794, after leaving the House of Commons, he was the Federalist candidate to replace retiring U.S. Senator Benjamin Hawkins. Timothy Bloodworth, a Republican leader, defeated Moore by one vote. Like his state senate tenure, Moore’s service in the state judiciary was brief. John Adams clearly knew of Moore; in January 1798, he appointed Moore – with Fisher Ames of Massachusetts and Bushrod Washington of Virginia – a commissioner to “conclude a treaty with the Cherokee Nation of Indians.” The foremost criteria for federal judicial appointments at that time were service to the Revolutionary cause and loyalty to the Federalist administration. Moore possessed these in abundance. Geography was also a consideration, and it made Moore an obvious candidate for the Supreme Court when Justice James Iredell retired. Adams appears to have seriously considered only Moore and William R. Davie, whom Iredell had viewed as the state’s two best lawyers. Adams had already appointed Davie as a special envoy to France, however, so the choice fell on Moore. Moore’s Supreme Court tenure (1799–1804) was undistinguished. He wrote only one published opinion, Bas v. Tingy (1800), which recognized that the U.S. participated in what historians call a “quasi- war” with France in 1798-99, and that France was therefore an enemy nation. The decision confirmed the position of his party, the Federalists, and it was bitterly attacked by the Jeffersonian press on the grounds that only Congress could declare a state of war. Moore missed the arguments in Marbury v. Madison (1803), the most famous case the Court decided during his tenure, and he reportedly remained silent when John Marshall read the opinion asserting the Court’s power of judicial review. Moore’s personal opinion is unclear. In an earlier North Carolina case, Bayard v. Singleton (1787), Moore had represented a party that was defeated by the North Carolina court’s application of judicial review. It is therefore interesting to speculate what his opinion in Marbury might have been. Plagued by ill health throughout his tenure, Moore resigned from the Supreme Court in March 1804. His remaining years were devoted to maintaining and enhancing his estate, which was considerable at the time of his death. He died on October 15, 1810, and is buried in St. Phillips Churchyard in his native county of Brunswick in North Carolina. Samuel A. Ashe, "Alfred Moore" in Samuel A. Ashe, ed., Biographical History of North Carolina: From Colonial Times to the Present (Greensboro, 1905); James M. Clifton, “Alfred Moore” in William S. Powell, ed., Dictionary of North Carolina Biography, Volume 4 (Chapel Hill, 1991); Richard C. Cortner, “Alfred Moore” in Kermit L. Hall, ed., The Oxford Companion to the Supreme Court of the United States (Oxford, 2nd ed., 2005); Clare Cushman, ed., The Supreme Court Justices: Illustrated Biographies, 1789-1995 (Washington D.C., 1995); Leon Friedman and Fred L. Israel, The Justices of the United States Supreme Court 1789-1969: Their Lives and Major Opinions, Volume I (New York, 1969); Robert Mason, Namesake: Alfred Moore 1755-1810, Soldier and Jurist (Southern Pines, N.C., 1996); Bernard Schwartz, A Book of Legal Lists: The Best and Worst in American Law (Oxford, 1997); Willis P. Whichard, Justice James Iredell (Durham, 2000).